Gavin Dress only 2 months old. Beautiful and showy on the stage. 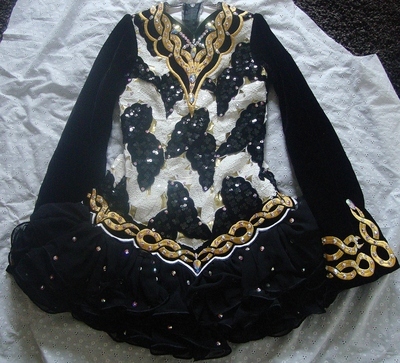 New style black ruffle/tutu skirt the same as Sinead Carsons. 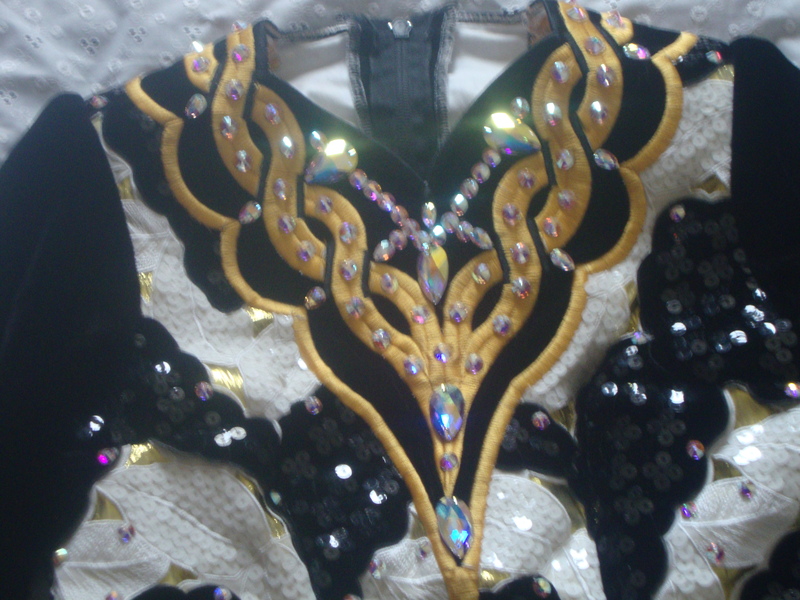 Black and white leaf design sequin bodice, enhanced with a gold fabric background. 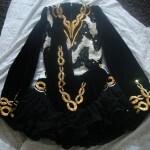 Black velvet sleeves and gold celtic embroidery. 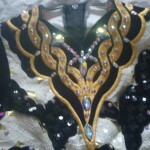 Hundreds of swarovski crystals including large and small pear drops. Dress in as new condition. Sale includes kick pants. There is room for let down. 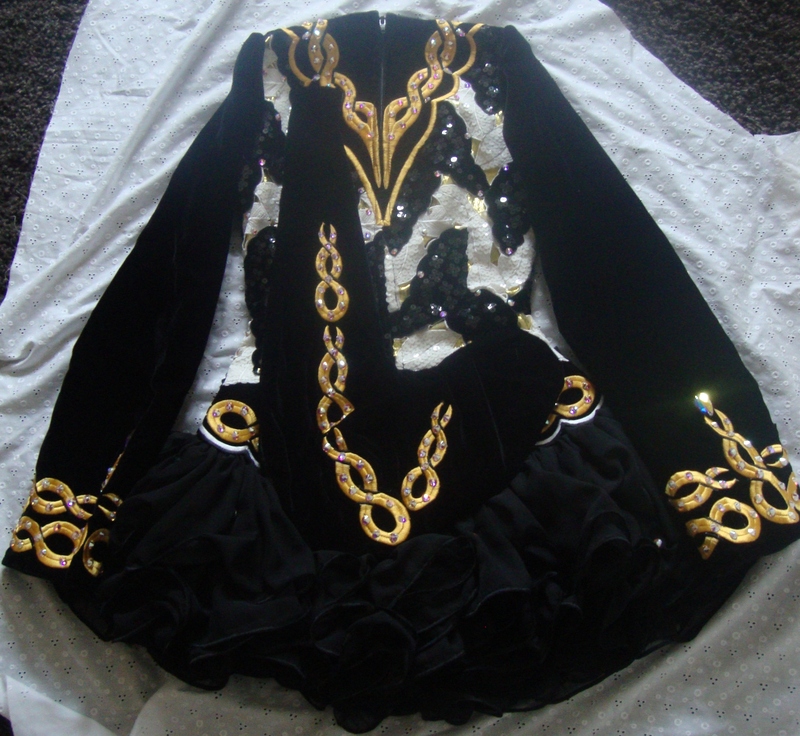 Asking Price: £975 ono. Shipping costs are not included in the asking price. Sale is final.